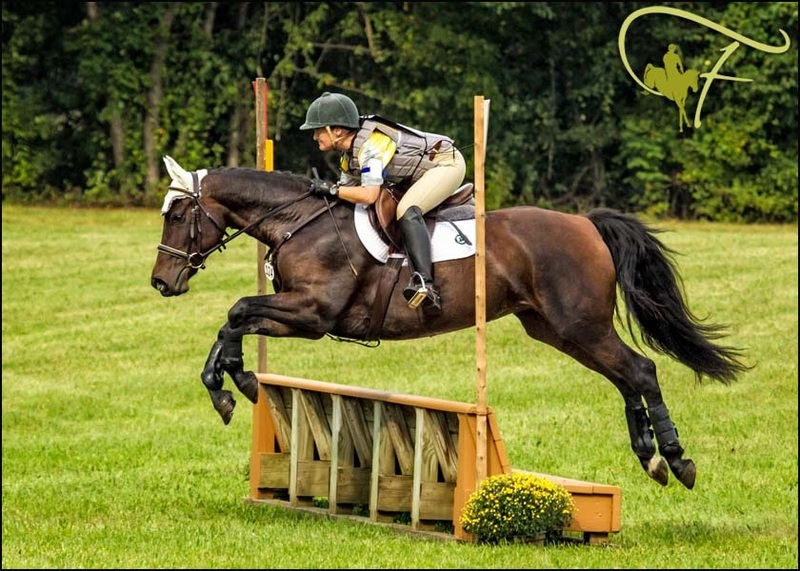 My Equine Bucket List | Chronicles of a "Mini-Pro"
Happy New Year! Tis the season for resolutions large and small, for those promises to ourselves and others that this year we will finally take those steps towards positive change. Here in New England, it is also the beginning of the most challenging riding season of the year, with bitterly cold temps alternating with ice or snow storms—these are real impediments when you have to ship your horse to an indoor to ride, as I do with Anna. Therefore, it is a great time to pause to reflect upon your goals for the upcoming season—short, medium and long term. After my summer in Vermont working with Denny Emerson (see the Tamarack Chronicles, Volumes I- VI), I came back inspired and full of new energy and ideas regarding what I want to do with my riding and within the equine industry in general. In preparing my goals for the 2015 season, I realized that it would be a huge help to step back and really evaluate the Big Picture—to think about those goals which seem so outlandish and so far out there as to be almost unattainable. Because the reality is, if you don’t think about those kinds of goals in a Big Picture way, you almost certainly won’t backtrack and make the changes or seek the opportunities necessary to try to take them from being a dream to a certainty. And then someday you are likely to reflect upon your career and say, gee I had always wanted to [fill in the blank]…but it is too late now. Therefore, this year I have formally created Chris’s Equine Bucket List, a short collection of goals, dreams and experiences that I wish to have with horses. I maintain that this list is subject to revision and editing as I see fit, and I reserve the right to add, remove, alter and/or otherwise modify these Big Picture destinations. However, as of right now, these are some actual goals that I want to achieve before I hang up my spurs, in no particular order. Drive a big hitch. At Equine Affaire in Springfield, MA, this year, I was treated to a performance of the Fantasia show. This spectacle features performances from riders and horses representing an array of breeds and disciplines. 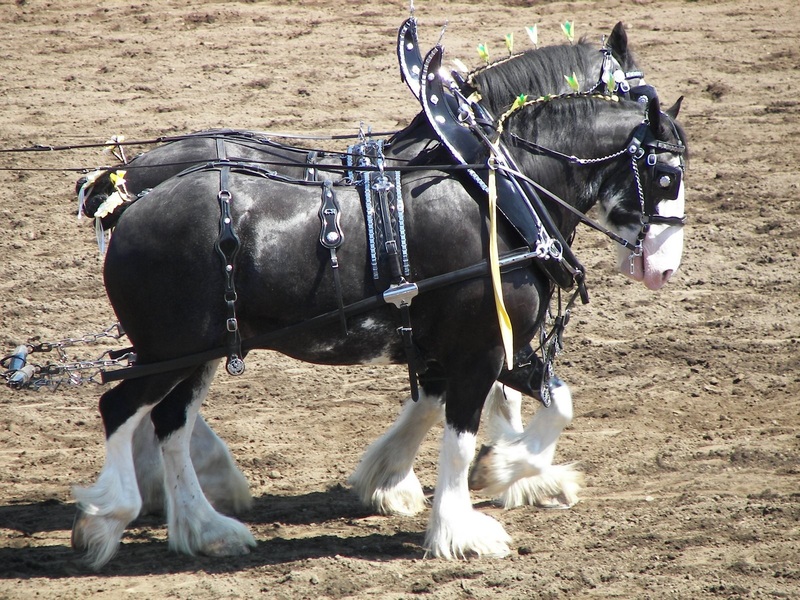 This year, by far my favorite exhibitor was the six horse Belgian hitch from the Morrisville College Foundation. The quiet power of each of these amazing animals combined into one suddenly small arena was just awe-inspiring. The metal fittings on the harnesses gleamed, and the air hung heavy with the sound of their powerful feet rhythmically striking the soft footing. I probably should start with a refresher on how to drive just one horse. But boy, it would really be amazing to be directing that much power. Raise a foal. 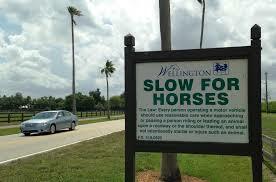 There is a true problem in our country with there being more horses than appropriate homes for them. In spite of this, I have not so secretly had the desire to breed one of my mares, a desire which to date I have been able to keep reasonably in check. That said, I still would like to have the experience at least one time of raising a foal from the very beginning, whether I am the breeder or not, and bringing them through the training process. I have had the pleasure of working with my current horses from a very green place in their lives, but someone else had done all of the early work. I want to have the experience of raising, developing and nurturing the horse from their first days through to their time under saddle. I also believe that this route might be my only option when it comes to getting to the FEI levels in either dressage or endurance. Train my own horses. In general, I am more interested in training my own horses than I am in buying or leasing a schoolmaster to get me to a certain goal. I think that schoolmasters are AMAZING and I am so grateful for the ones that I have had the opportunity to learn from in the past. I also fully believe that I will seek their wisdom in short doses as I move forward in my career. However, I take a great deal of pride (and humility) in knowing that the horses I ride and work with are the product of my own effort and time. It is more meaningful to me to develop the relationship with each individual horse along the way. See entry # 2 for more info on this point. 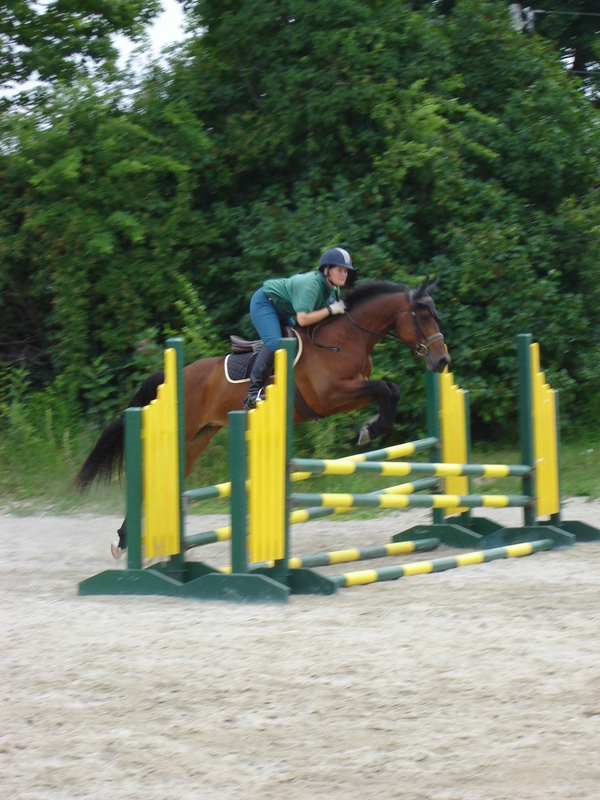 Anna and I schooling July 2011. To date, I am the only rider to ever school her over fences. Earn my USDF Gold Medal. This one kind of relates to #5; before I can compete at a CDI, I need to actually get a horse to the FEI levels. If I am riding at the FEI levels, maybe even on a Connemara or a half bred (how cool would that be? ), my goal would be to attain the scores for the silver and gold medal rider awards—two scores of 60% or higher at Fourth and Prix St. Georges for the silver, and two each at Intermediate and Grand Prix for the gold. One of my favorite classes to compete in with my former mount Worldly (show name: Weltinus) was the musical freestyle, and I already have bronze bar scores for First and Second Level from my time with him. The “bar” award is for freestyle performance, and is only awarded after the regular rider award for that level has been attained. So let’s add earning the bronze, silver and gold bars, too, to this item. What the heck. 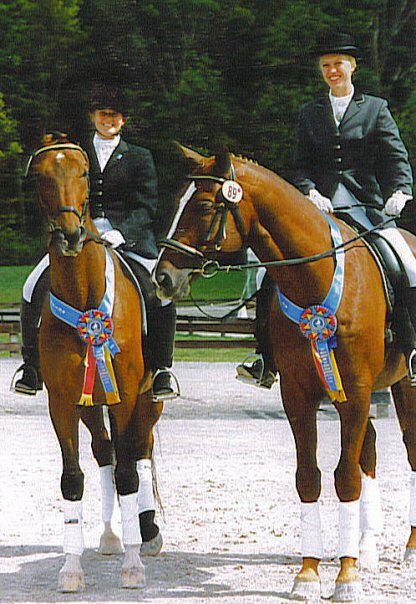 Worldly (Weltinus, on the left) after winning the 2006 Region 8 Second Level Freestyle championships. Compete in a CDI. So this is definitely a huge end goal. I don’t care if I even place. I just want to have the chance to compete in an FEI competition, and I think that dressage is the most likely niche for me to do it, maybe on my fictional Connemara, who I have also raised and trained myself. It’s a wish list, don’t judge. “Do the Florida thing”. I would really love to have the chance to see what winter in Florida is all about. I have heard so much about it—and it seems like it would be like going to equine Disneyland. So many talented horses, riders, instructors and clinics are available in a condensed place. 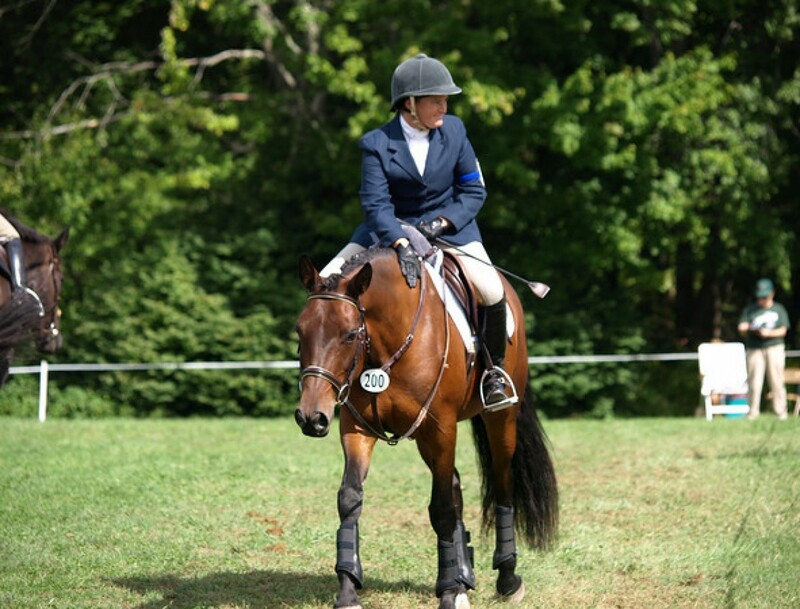 Whether riding, competing or auditing, I can’t imagine that one wouldn’t return from the experience a new horseman (and with a much lighter checkbook, I understand). And I never object to getting out of the cold. Keep my horses at home. This has been a lifelong dream of mine—to have my own farm, with my horses wholly in my care. I have been very fortunate to board at wonderful facilities but there is just nothing quite the same as being able to do everything the way you want to. Related to this, I have a strong interest in sustainable living and sustainable agriculture, and how we can apply those concepts to horse facility management. Having my own place would allow me to begin to experiment with these principles first hand. On this day, I had forgotten something at home and stopped in en route home after a clinic. 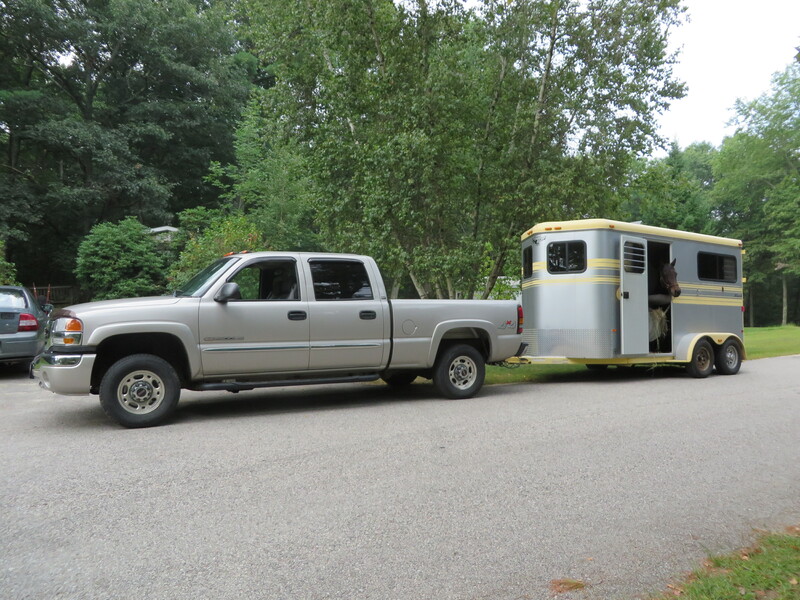 Not quite what I mean when I say that “I want to bring my horse home” but it is the closest I have gotten so far…. Trail ride in Acadia National Park. I am told it is amazing—a breathtaking area, with trails specifically designed for horses. Parts of Acadia used to be owned by the Rockefellers, who have had equine enthusiasts in their family for years and who were critically involved in building the miles of carriage roads in the 1930’s. With my newfound interest in competitive trail and my wonderful and now reliable mount Lee, I hope that a visit can be arranged in the near future. Train in Europe I am not talking anything on the level of taking my own horses over and training like I am going to make a team or something like that. However, the tradition of horsemanship in countries like England, Germany or even Portugal and Spain is rich, and I think it would be greatly informative to have the chance to see how horses are managed and trained and riders are coached. Complete a classic three day event. 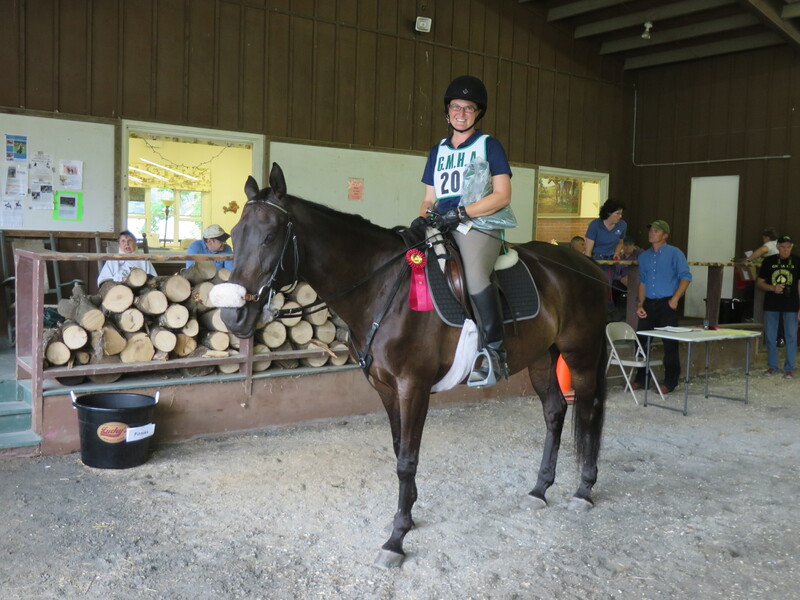 This one has been on the list for a long time, pretty much since I first learned about the novice and training level educational three day event options being held at Green Mountain Horse Association (GMHA) in Vermont. 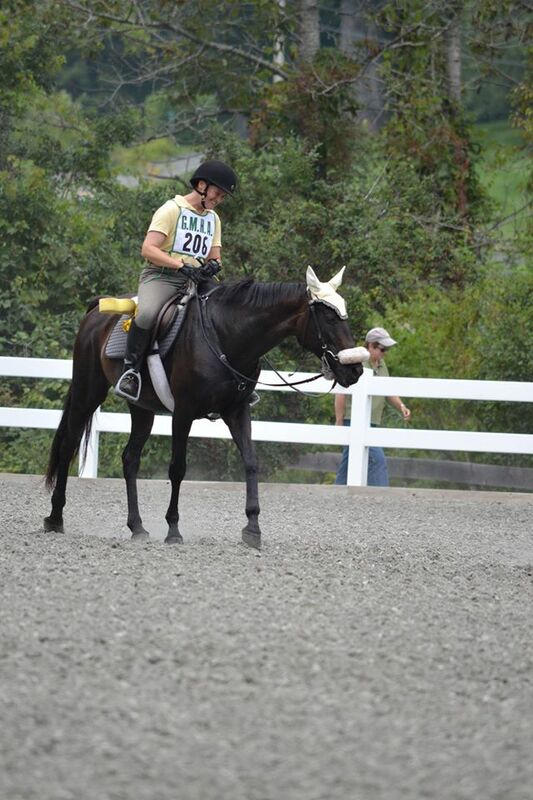 When the lower level classic format events began, I didn’t have an event horse and was mostly riding dressage, but I thought, “Perhaps someday”. 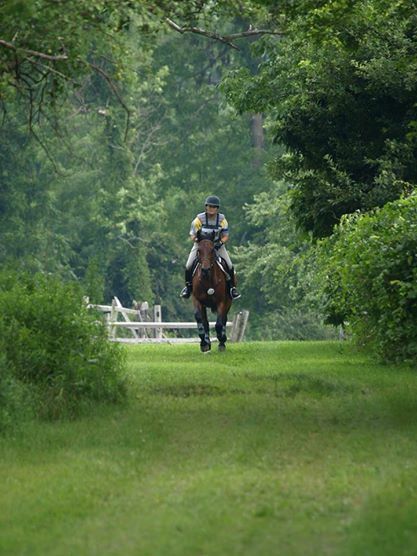 What I didn’t count on was the fact that after taking a few years off from jumping and then returning to the eventing scene, I am not quite as brave as I once was. So I am not sure if the reality of actually doing this is going to happen. But for the time being, it remains on the list. See the clause above regarding editing of the list at the owner’s whim. Complete a 100 mile ride. This one is a fairly recent addition to the list. I am secretly hoping that Lee might be able to complete the three day hundred at GMHA before her career is done, but if not, at some point this is something I wish to have accomplished. 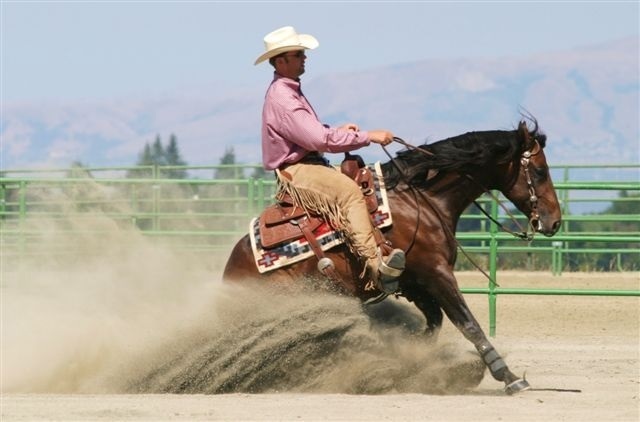 As they say in the sport, “to finish is to win” and the opportunity to connect with your horse on the level which is required to prepare them and help them to get you through such an effort is a true testament to a rider’s horsemanship skills. I would be so bold as to say that someone who completes a one hundred mile ride on a horse which they have prepared themselves is not just a rider; they are a true horseman, which I consider to be the highest compliment. Save a horse. This is not a goal which is wholly defined in my mind; it is more that I think it is of the highest importance that those who love horses remain advocates for the promotion of humane education and training. So whether attaining this objective might be quite direct, in terms of getting a horse out of a situation that is dangerous or inhumane, or indirect, in terms of providing continued education to horse lovers and support for rescues, I think it is absolutely critical that we as a community remain ever vigilant. It is imperative that anyone who loves and cares about horses be an advocate for their protection and well being. Ride a reiner. 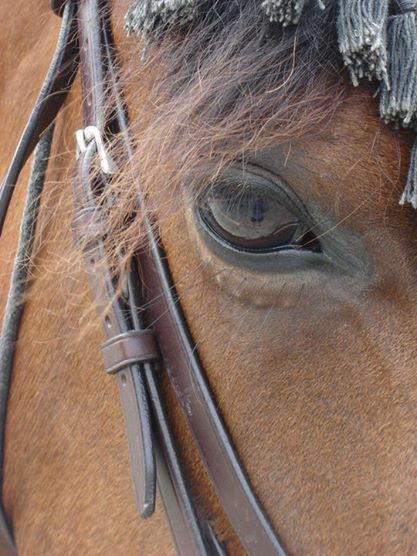 In the vein of stepping out of my usual comfort zone to have new experiences with horses, I have secretly had the desire to learn a little bit about—and try my hand at—riding a reiner. Mind you, my experience in riding in western saddles is limited almost exclusively to my horse packing trip out west. I have some friends in the Intercollegiate Horse Shows Association (IHSA) who are western specialists, and just the other day I asked if it was reasonable to ask someone to teach a rider like myself some basics of reining on an experienced horse. She gave me some northern contacts, and then explained to me the basic aids for beginning a spin to the left. The cues are subtle and, of course, totally not what I would do to initiate a pirouette left. It sounds like it could be fun, and totally out of my comfort zone. I am not looking to change disciplines, just to try it out. This version of Chris’s Bucket List represents some of my thoughts as of today, early January, 2015. I think I will see what the year brings in terms of progress towards knocking a few of these off the list, and perhaps I will check back in a year’s time to see where I have come to. So what is on your Equine Bucket List? Where are you going with your equestrian pursuits? I can help you with a couple of your things. How about a Reputed Testamony/connemara foal to raise, train and compete at the upper levels? I will have one this summer, you and even come up and watch it be born. Or you can custom order one for next year! Pingback: Ride a Reiner | Chronicles of a "Mini-Pro"